Texas Hill Country Regional Christmas Lighting Trail: Web. Tourism spotlight on this town. Austin Steam Train Association Train Rides: Historic railroad operates vintage passenger cars pulled by A 1960 diesel Alco Engine while the 1916 steam engine is restored. Originating in Cedar Park (except the Burtram Flyer), the excursion goes into the Hill Country, including a brief stop at Bertram (take the "BERTRAM FLYER" to explore the 1912 Train Depot) and to Burnet (take the "HILL COUNTRY FLYER" with a relaxed layover for a picnic or lunch at a restaurant of your choice). Special trips for major occasions (Valentine's, Mardi Gras, Bluebonnet, Mother's Day, Father's Day, Christmas and theme trips) with performances, mystery players, magic and fun activities on board. Falkenstein Castle: Located between Burnet and Marble Falls. A destination wedding castle with lodging and full catering services. Perched high on a hilltop surrounded by 113 acres of Oaks. Reception Center nearby in Burnet. No tours. Fort Croghan: The third of the first four forts established by the US government to protect settlements from hostile Indians. From 1849 until its decommission in 1853, Fort Croghan was the home to Company C, 8th Inf, USA (mounted) and eventually became the headquarters of the Second Dragoon Regiment. Today's Fort Croghan is representative of those early days of what was to become Burnet. See the sights and imagine the sounds of the frontier as you visit the blacksmith's shop, the one room school house, the powder house or the stage coach stop. The museum has over 1200 historic artifacts from in and around the Burnet County area. Visit the Texas frontier as it once was. Highland Lakes Air Museum: Operated by the Highland Lakes Squadron of the Commemorative Air Force (CAF). Static displays of numerous WWII (and later) aircraft, military vehicles, and wartime memorabilia. Burnet Quad: Offers ball fields, a playscape, picnic facilities, an indoor concession stand and a covered pavilion. Splash Park: Located just outside the Galloway-Hammond Recreation Center, offers zero depth fun for the little ones. HISTORY & profiles: Handbook of Texas Online: ". . one mile west of the divide between the Brazos and Colorado river watersheds near the center of the county, forty-eight miles northwest of Austin. In 1849 people on the frontier sought protection from the Indians at nearby Fort Croghan. The area was commonly called Hamilton or Hamilton Valley for John Hamilton, who had a league and labor of land there. A creek flowing through the league was also named for him. The town was founded as Hamilton in 1852, when Burnet County was established. In August of that year a post office in Hamilton was named Burnet Courthouse. In 1857 thirty-five residents of the town petitioned the state legislature to change the name of the town to Burnet since there was another town in Texas named Hamilton. The name was changed in 1858. Citizens first voted to incorporate in 1876. 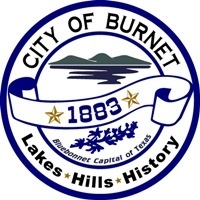 A second election was held in 1883 and resulted in the official incorporation of Burnet in October of that year. A major spurt in growth occurred with the arrival of the Austin and Northwestern Railroad in April 1882. Burnet then became the railhead for the area to the west, including the Llano, Mason, and San Saba vicinities. On June 3, 1885, Southern Produce Company shipped 157,000 pounds of wool from Burnet, reportedly the third largest wool shipment made up to that time in Texas. In 1885 Gustav Wilke, subcontractor building the Capitol in Austin, constructed a narrow-gauge railroad from Granite Mountain, fourteen miles south of Burnet, to Burnet. At a point just south of the town and within its city limits, Wilke constructed a yard to shape, finish, and fit the granite for placement in the Capitol building. Here some 1,802 railroad carloads, 31,000 tons, of granite were finished and shipped by the Austin and Northwestern to Austin. After the railroad was extended to Llano in 1892, Burnet declined as a supply point and became a farming and livestock center. In April 1931 the contract was let for the construction of what was then named Hamilton Dam on the Colorado River ten miles west of Burnet. While this construction was under way as many as 800 men were employed, and Burnet was home for many of them and supply base for nearly all of them. Due to the Great Depression the Insull-owned corporations, including the one owning Hamilton Dam, failed financially, and work ceased. In 1934 the state legislature established the Lower Colorado River Authority, which, financed by the federal Public Works Administration, acquired and completed the dam and changed the name to Buchanan Dam. Other dams along the Colorado River soon followed, and Burnet was on a sound economic path from that time forward. In 1989 the town had a population of 3,794 and in 1990, 3,423. The population was 4,735 in 2000, and the community had a city manager form of government. Burnet produces stone and various milled products from stone; mining, milling, shipping of graphite, agribusiness, hunting leases, tourism, and recreation contribute to the economy. Many retirees live in Burnet." Ft Croghan, see description & photo above. (The) Verandas Guest House: 512-588-0088; 108 E League Street. The original limestone part of the house was built in 1856 as a stagecoach stop and hotel during the 1800s. The hand-dug well on the front porch provided water for horses and travelers. Burnet Cemetery: S Rhomberg St, next to Odd Fellows and Old Burnet cemeteries. Odd Fellows Cemetery: S Rhomberg St, next to Burnet and Old Burnet cemeteries. Old Burnet Cemetery: S Rhomberg St, next to Odd Fellows and Burnet cemeteries. DAVID YANCEY: Burnet, TX 78611. www.texascolorsstainedglass.com. Bonsai Trees from metal and glass and some Fantasy Critters from found objects. CECIL ATKISSION MOTORS: 512-756-2128; 2601 S Water St, Burnet, TX 78611. www.cecilmotors.com. Chrysler, Jeep, Dodge Dealership. FLOWING WATERS MINISTRIES: 307-250-4326; 1008 League St, Burnet, TX 78611. In Manor Club House-League Street Apartments. Services only for elderly and disabled. Prayers read before each open day. Pantry open 9a-2p Fridays; produce items given out 10a-2p 1st and 3rd Fri; produce and pastry items given out 3-6p 2nd Tue. Delivery of pantry items available upon request after closing. CODE RED: 866-939-0911; Web Sign-Up. A free, automated system whereby you can be notified (via phone call, text, or mobile app) by your local emergency response team in the event of emergency situations or critical community alerts. Examples include: evacuation notices, bio-terrorism alerts, boil water notices, severe weather and missing child reports. DELAWARE SPRINGS GOLF COURSE: 512-756-8471; 600A Delaware Springs Blvd, US-281 S, Burnet, TX 78611. www.delawaresprings.com. Public, Municipal, 18 holes, 6819 yds, par 72. Practice & instruction facility, full grill, pro shop. TEXAS PARKS & WILDLIFE DEPT (TPWD): 512-288-0895; www.tpwd.state.tx.us. See Parks. Provides technical assistance to landowners in all aspects of native wildlife and habitat management, including game, non-game, and endangered species. Experts available to assist in the preparation of detailed wildlife management plans. Operates state parks. Game warden. HARTH FOUNDATION: 3307 Sunset Cliff Rd, Burnet, TX 78611. www.harthtx.org. A 501c3 non-profit providing free horse-assisted counseling to active duty service members, veterans and their families. POST OAK FARM & GUEST RANCH: 512-756-4647; 1019 Hoover Valley Rd (CR-116), Burnet, TX 78611. www.postoakfarm.com. Offers ranch rides, riding lessons for all ages, horsemanship clinics, horse boarding and training. 1.5 hour trail rides. They will let you ride out in the pastures range-style instead of having to ride in-line like most places do. Lodging. Advance reservations are required for all riding. No web site. RUNNING-R GUEST RANCH: 830-796-3984; 9059 Bandera Creek Rd, Bandera, TX 78003. www.rrranch.com. 14 western-style cabins and a bunkhouse. Horseback riding for beginners and advanced riders from 1 to 5 hours, direct access to 5,500 acre Hill Country State Natural Area, arena and riding lessons. Guests may also bring their own horses. Pool, bar-b-ques, campfires, cowboy breakfasts, hayrides, biking, hiking. Lodge with open fireplace, TV/video and pool table. Breakfast & lunch served. Hiking and mountain bike riding. Birding. Call to inquire about meal and ride combinations. SUNSET CLIFF FARMS: 770-335-3215; 3307 Sunset Cliff Rd, Burnet, TX 78611. www.sunsetclifffarms.com. Horse boarding facility. FARMERS INSURANCE - WESSELS RENFRO AGENCY: 512-756-8883; 115 E Jackson St, Burnet, TX 78611. www.farmersagent.com/wpetersen1. AUSTIN STEAM TRAIN ASSOCIATION TRAIN RIDES: 512-477-8468; www.AustinSteamTrain.org. Historic railroad operates vintage passenger cars pulled by A 1960 diesel Alco Engine while the 1916 steam engine is restored. Coach and Lounge car rides available on Sun. 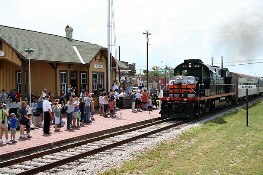 Originating in Cedar Park (except the Burtram Flyer), the excursion goes into the Hill Country, including a brief stop at Bertram (take the "BERTRAM FLYER" to explore the 1912 Train Depot) and to Burnet (take the "HILL COUNTRY FLYER" with a relaxed layover for a picnic or lunch at a restaurant of your choice). Special trips for major occasions (Valentine's, Mardi Gras, Bluebonnet, Mother's Day, Father's Day, Christmas and theme trips) with performances, mystery players, magic and fun activities on board. All seats are reserved and pre-assigned. Operates year-around. Times & locations vary so check schedule on web. BUCHANAN ADVENTURE TOURS: 512-756-4700; 16942 RR-2341, Burnet, TX 78611. www.canyonoftheeagles.com/hill-country-adventure. www.buchananadventuretours.com. At Canyon of the Eagles Nature Park. Kayak trips on east Lake Buchanan. Rental of canoes, kayaks, stand-up paddle board. Guided kayaking tours/eco-adventures, overnight kayaking trips, GPS scavenger hunts, hiking tours, youth camp retreats, team building. PCS AND ACCESSORIES: 512-673-3755; 807 Buchanan Dr, Burnet, TX 78611. www.pca-burnet.com. Computer services, repairs, upgrades, etc. REVEILLE PEAK RANCH: 512-755-4417; 105 CR-114, Burnet, TX 78611. www.rprtexas.com. 1300 acre outdoor adventure, education, recreational events center. BOYS AND GIRLS CLUB: www.bgc.com. Inspiring and enabling all young people to realize their full potential as productive, responsible, and caring citizens. Tutoring, professional services, sports & recreation. BURNET COUNTY VETRIDES: 220 S Pierce St, Burnet, TX 78611. Web. Program assists veterans and their families with transportation to and from Veterans Administration hospitals, veterans services offices, pharmacies, grocery and retail stores. Available in Burnet, Llano and Lampasas counties. To request a RIDE: 877-8S1-8VET(838) or 830-613-9982. Cash donations and drivers are needed. CAMP BUCKNER: 512-756-7540; 3835 FM-2342, Burnet, TX 78611. www.campbuckner.org. Offers a variety of housing options to meet the needs of any group, whether young or old, large or small. Offers flexible and individualized lodging in climate-controlled cabins, lodges and chateaus. Modern conveniences including air conditioning, high-speed internet access, telecommunications and audio/visual equipment. Venue for Young Life and other groups. Available for rental. HERMAN BROWN FREE LIBRARY: 512-715-5228; 100 E Washington St, Burnet, TX 78611. www.hermanbrownlibrary.org; Friends, on Facebook. HILL COUNTRY ASSOCIATION OF SPORTS AND FITNESS (HCASF): 512-422-8624; POB 562, Burnet, TX 78611. www.hcasf.com. A non-profit 501(3)(c) entity to facilitate amateur sports and fitness programs to serve the communities of the Hill Country. HCASF will strive to maintain an atmosphere of family, fun, and respect by building skills in sportsmanship, leadership, athletics, and fitness. Includes Hill Country Futbol Club (FC) Soccer Club. HILL COUNTRY COMMUNITY FOUNDATION: 512-755-0106; 512-756-8211; Reed Bldg, 402 E Jackson St, Burnet, TX 78611. www.thehccf.com, Facebook. Committed to the support of charitable, civic, health and educational programs that will enrich the lives of citizens in the Texas Hill Country. Scholarships for high school seniors. LACARE (LAKES AREA CARE): 512-756-4422; 507 W Buchanan Dr, Burnet, TX 78611. www.lacareburnet.org. Located on the grounds of Our Mother of Sorrows Catholic Church. Food and financial help for needy families. Est 1985 by a ministerial alliance as a non-profit, volunteer run organization. A non-profit food pantry (partner with Central Texas Food Bank). LITTLE LEAGUE: www.littleleague.org. A non-profit organization based in Williamsport, PA that organizes local youth baseball and softball leagues throughout the US. Builds character, courage, loyalty. 4-H: www.4-h.org. A global network of youth organizations, sponsored by Texas AgriLife Extension Service (see above), whose mission is "engaging youth to reach their fullest potential while advancing the field of youth development". See AgriLife above. Local 4-H Club: Burnet County, 512-756-5463; 1701 E Polk St, Ste 12, Burnet, TX. ORDER OF THE EASTERN STAR: www.easternstar.org. A Freemasonic appendant body open to both men and women, established in 1850 by lawyer and educator Rob Morris, a noted Freemason. The secret order is similar to Masons, both organizations work in concert, is based on teachings from the Bible, and is open to people of all religious beliefs. ROTARY CLUB: www.rotary.org. Rotary is a worldwide organization of business, professional, and community leaders. Members of Rotary clubs, known as Rotarians, provide humanitarian service, encourage high ethical standards in all vocations, and help build goodwill and peace in the world. SCOUTS: www.scouting.org/cubscouts. A non-profit organization operated by many Scouting organizations for young persons. Pack: mainly boys aged 7-11. TEXAS FARM BUREAU: texasfarmbureau.org. A county-wide non-profit providing a political voice regarding agriculture, as well as insurance, financing and education services. "The Voice of Texas Agriculture". WBC OPPORTUNITIES: www.wbco.net. A nonprofit community action agency serving Williamson and Burnet County residents since 1966. Provides assistance with affordable housing and basic needs, Meals on Wheels, Head Start and Early Head Start programs. To receive assistance, call the WBC Opportunities Community Services office. CIRCLE C RANCH SALES: Merged to become Texas Ranch Brokers, see below. FAMILY PETS & SUPPLIES: 512-756-5151; 1803 TX-29 E, Ste 110, Burnet, TX 78611. SPOKES RESTAURANT & SPORTS BAR: Closed, now Mama's, see above. 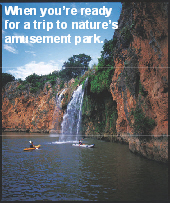 CANYON OF THE EAGLES LODGE & NATURE PARK: 800-977-0081; 16942 RR-2341, Burnet, TX 78611. Eagle Eye observatory. Home of Vanishing Texas River Cruise. Conference Center, restaurant, lodging, camping and RV facilities (25 sites). www.canyonoftheeagles.com. Also see Parks for more details on this LCRA park. BCISD PARENT RESOURCE CENTER: 512-715-3668; 202 E Brier Ln, Burnet, TX 78611. Facebook. A comfortable place to come for resources to help parents become more engaged in the education of their children. BURNET HEAD START: 512-756-4777; 803 N Vanderveer, Burnet, TX 78611. www.wbco.net. Ages 3-5. Provides quality education for low-income pre-school children. Facilitates medical, hearing and speech screening for all pre-school children. Provides follow up care for children with health needs. Also see Camp Agape Bereavement Camp for Children in Marble Falls Community Resource Center (CRC), 830-693-0700, in the T.Q. Brown Community Center, 1016 Broadway, Marble Falls, TX 78654 (Texas Housing Foundation (TFC) provides this facility). Map. Services: A support program for children who have suffered the loss of a loved one. Wed 8a-1p, every 3rd Wed 1-5p, Also see in Burnet. VERIZON/FRONTIER: www.verizon.com. Regulated land-line telephone service. Residential Service: 1-800-483-4000; Business Service: 1-800-483-5000; Repair-Residential Service: 1-800-483-1000; Repair-Business Service: 1-800-483-2000. No local customer service office. PSA: Public Service Announcements !